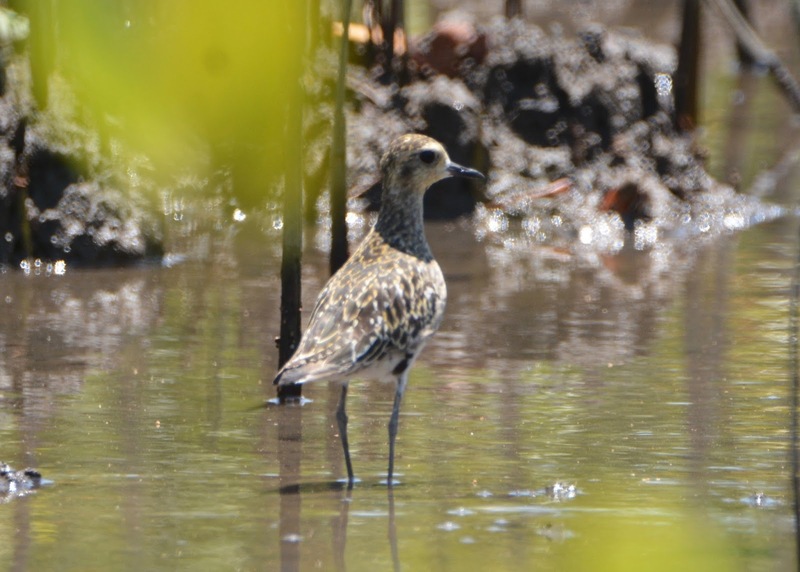 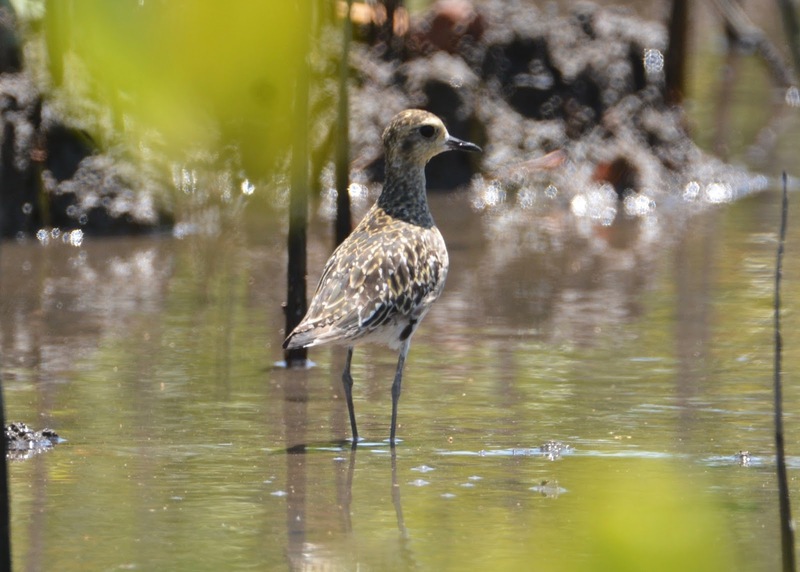 Also known as Lesser Golden Plover. During migrations frequents estuaries, mangroves and tidal mudflats, as well as grasslands and fields behind the shoreline; often seen on airfields and golf-fields near the sea. 25 cm. 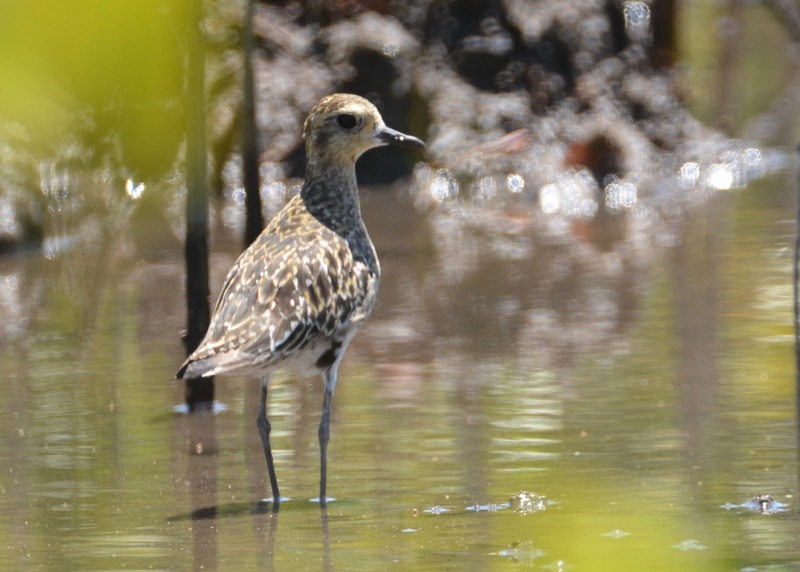 Breeds in Siberia and Alaska, winters in the south reaching NZ; fairly common migrant and winter visitor throughout coastal Indonesia.